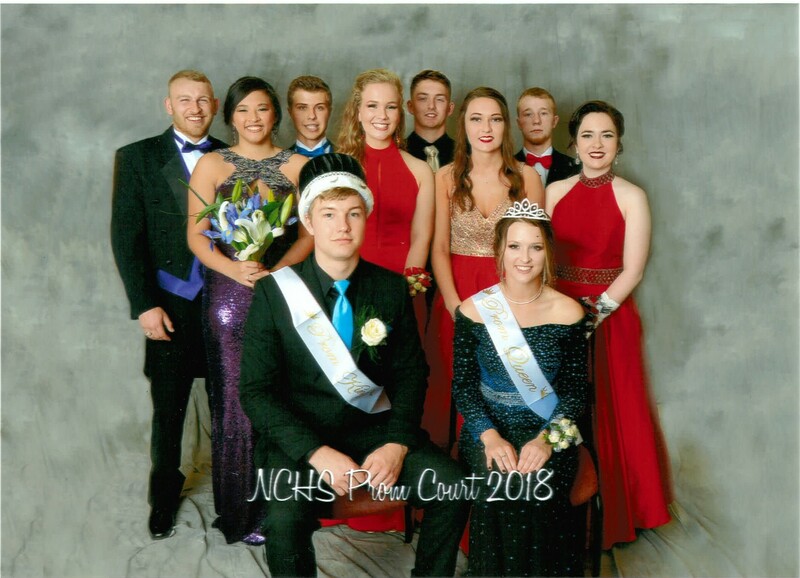 The NCHS Prom was held at the Summersville Armory on May 5th, 2018, from 8-11 pm. After a poll was taken amongst the student body, the theme was decided to be “Under the Moonlight/Starlight” with the colors of black, silver, and white. Zachary Payne and Alexis Nicholas won the titles of 2018 NCHS Prom King and Queen. On Prom Court, the First Runners Up were Andrew Cook and Grace Carpenter. Second Runners Up were DJ McCutcheon and Isabelle Weed. Third Runners Up were Gracin Young and Kristin Woods. Fourth Runners Up were Kyle Barker and Katie Phares. “Thank you to everyone at the Summersville Arena and Conference Center who made the armory look so beautiful for the students, Mrs. Rapp, and faculty and staff who put in a lot of hard work to pull off such a big event. It wouldn’t be possible without the help of all of you,” said Mrs. Natalie Treadway, NCHS Prom coordinator and English teacher.